Fashion photographer Breanna Nichelle captures a beautiful series of portraits starring modeling scene’s up and comers elegantly styled by Mike Stallings. For BOYS OF THE UPPER EAST SIDE story captured in New York, Makeup was handled by Makeup Artists Sandradene Fearon & Donovan Cummings, Hair Styling by Hair Stylist Kanako Watanabe. 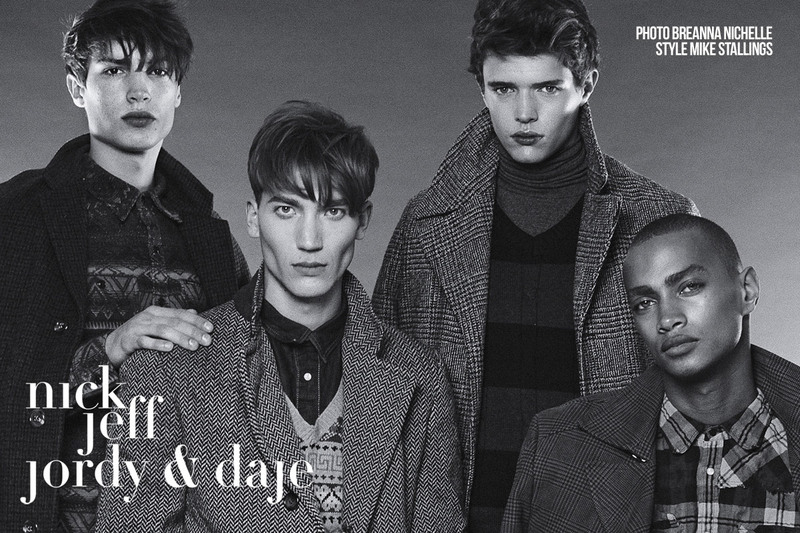 Stars of the session are Daje Barbour at DNA Models, Jeff Ryan at VNY Models, Jordy Baan at New York Models Men, and Nick Brown at Fusion Models. For more of Breanna’s work log on to breannanichelle.net.